Back in the days when PBXs were made of tin and screwed to the wall, Computer Telephony Integration (CTI) was the way to provide a rudimentary link to PCs. This allowed telephone numbers from inbound calls to be forwarded to database and sales management applications and then get the same applications to automatically make calls from the information stored in them. Then, with the first wave of voice and data convergence, with some form of IP actually “inside” the PBX, came telephone call handling via a desktop app. Both of these are well known and loved by the engineering team at SpliceCom, not surprising seeing as they did more than anyone to productise and popularise these concepts during the late nineties, albeit in a previous life with Network Alchemy – in the days before the Lucent/Avaya acquisition and the re-branding of the Alchemy product range as IP Office. Today, voice is now in essence an app itself and Unified Communications makes it a whole lot easier for it to co-exist and interoperate with other business critical apps. That’s the theory, the reality being that it still needs a bit of a helping hand along the way. But why does the need to do so exist? We’re seeing more and more organisations utilise popular Personal Information Management systems (PIMs) – Microsoft Outlook, IBM/Lotus Notes, Google Contacts, etc. – as the very foundation of their business operations. Customer Relationship Management (CRM) apps, like Salesforce, Microsoft Dynamics, Netsuite, etc., can be considered a more specialist, Departmental or Company-wide form of these apps. As both type of apps become used more and more within the business, the linkage between them and phone calls becomes ever greater – be that driving the need to make phone calls as the next step of a campaign, or entering notes relating to a phone call received. It therefore makes perfect sense, in terms of time and workforce efficiency, to directly link the taking and making of these phone calls with the app – or apps – in question. And once employees get used to this way of working, they’ll want to drive all forms of telephone – and other forms of communication – in the same manner; via the desktop of their PC or laptop. 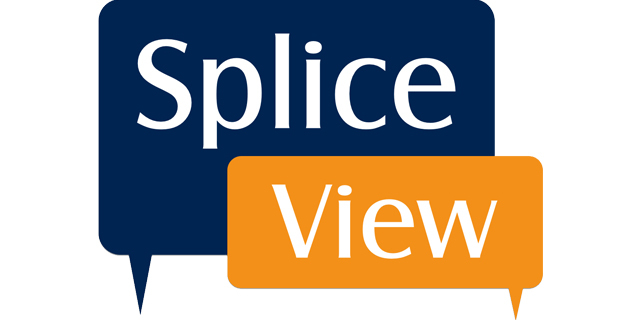 At SpliceCom, we address these needs through Navigate UC and Navigate CRM respectively. These deliver click to dial and intelligent screen popping of all the popular PIMs and CRMs, as well as more specialist systems for vertical markets, for example Capita SIMs for schools, and even bespoke LDAP and ODBC compliant databases. Comprehensive desktop phone control is also provided with both of these apps, including pickup/hold/transfer/conference, presence/Busy Lamp Field (BLF), Instant Messaging (IM), management of multiple contact directories, Do Not Disturb/Out of Office status, etc. The use of multiple CRM apps is also supported. For example, one of our highest performing channel partners has the sales team running Microsoft Dynamics CRM, whilst the support engineers utilise a Help Desk solution from Kayako. Navigate CRM allows its employees to select which, if any, of these two solutions, or Outlook, should be opened on a user-by-user and call-by-call basis. They also happen to use Navigate Lync – a third SpliceCom variant – for integration with Microsoft Lync 365 to show phone presence in Microsoft Communicator, set Do Not Disturb, utilise click-to-dial, etc. We’re also finding an increasing number of businesses using Salesforce or Microsoft Dynamics as the basis for outbound call centre campaigns. By using theses apps in conjunction with Navigate CRM, their Maximiser OS based IP PBX, be it soft, hard or virtual, and Vision Business Management for their stats package, they have a high functionality contact centre for the fraction of the cost of a traditional solution.